Nicholas T. Pinchuk is chairman and chief executive officer of Snap-on Incorporated, and serves on the Corporationâ€™s board of directors. 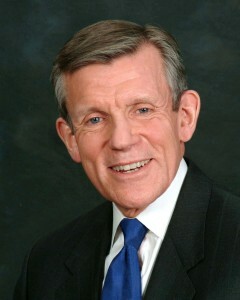 He was named president and chief operating officer in April 2007. He joined Snap-on in 2002. Mr. Pinchuk has been a strong advocate for career and technical education and has provided leadership in the development of new initiatives to link industry and education. Harvard professor David Landes in his landmark book Wealth and Poverty of Nations recognizes that the success of our nation is rooted in our workforce. The American workforce â€“ focused on individual aspirations and pursuing collective goals â€“ has been our countryâ€™s strength for generations. But, when we rise any morning and watch TV or read the newspaper, we hear that we are under challenge . . . that weâ€™re in a global competition. Well, the best thing we can do in this conflict is to enable our workforce with Career Technical Education (CTE). This is the way forward . . . there is no more important task in contemporary America. The American workforce has delivered us from evil, generation after generation. Weâ€™ve had brilliant people such as Thomas Edison, Alexander Graham Bell, and Henry Ford. Ford, like the others, had a groundbreaking idea but his vision would not have been actionable without an assisting amplifier.Â And, he chose the greatest commercial amplifier of the day . . . the American workforce . . . committed, focused and energetic. In the process, he created the American auto industry and he got rich for it, as he should have.Â But, along the way, he also created the opportunity to build prosperous and fulfilling lives for the millions of Americans who helped make his vision a reality. The same story is true of Snap-on. We were founded on an innovation and the people from the state of Wisconsin helped take our products around the world and, in the process, built lives of fulfillment and prosperity for themselves and their successors. We know there are urgent challenges to our economy and to our workforce. Thirty percent of Americaâ€™s manufacturing jobs have disappeared in the past 20 years. So whatâ€™s changed since Henry Ford? A lack of innovation . . . I donâ€™t think so.Â We can just look around and see that there are still many new ideas, clearly evident in the progress across modern America. Itâ€™s not the American workforce. Â Clearlyâ€¦I can tell you, when I walk the hallways and the factory floors of Elizabethton, Tennessee, or Murphy, North Carolina, or Milwaukee, Wisconsin, I see the same commitment and focus and energy that I suspect Henry Ford saw all those years ago. What is different is that when I tour those same passages in Shanghai or Delhi, as I do regularly, I also see commitment, focus and energy . . . I see a workforce hungry for advancement and motivated to build their own prosperity. What has changed is that qualities like commitment and energy are no longer differentiating in the global competition to be the preferred enabling workforce for the ideas of today. So, we can only win the global economic competition for broad prosperity by creating an advantageâ€¦by arming our workforce with capability and technical skills. If we learn anything from American history, it is that society advances through the hands, minds and hearts of its professional workers. In fact, America has consistently moved forward over the years on the brilliance of the few and on the efforts of the many. Now, Snap-on is â€“ I believe â€“ a great example of what Iâ€™m talking about. We make 80 percent of what we sell in the United States right here in America. And, most of what we make has high labor content.Â This Â can be hard to accomplish successfully in a developed environment like the United States. Weâ€™re able to do it because we have a capable and flexible workforce, proximate to the world’s greatest market. This approach, using proximity and capability as an advantage, can be duplicated all across this country.Â But, whatâ€™s needed is an American workforce armed with the right skillsâ€¦a workforce enabled by technical education. Industry needs to enable technical institutions.Â We must ensure that schools are using the best equipment and facilities.Â Industry also needs to help set standards for education so that students learn the specific skills that are necessary, that are actionable in the marketplace, and that can get them the jobs that create prosperity. Thatâ€™s first. Second, is that somewhere along the way, America â€“ in my opinion â€“ has lost a bit of its respect for technical occupations. Â They are now often viewed as a consolation for not earning a four-year degree. Both Government and Industry need to work in tandem to change this view.Â Young people must be encouraged to pursue technical professions. People might recognize the importance of training for a technical career, but how do they react when someone close to them follows such a path? Â Iâ€™m not sureâ€¦probably not so positively.Â The truth is that technical education and the associated careers are viewed by many as a consolation prize.Â Now, the facts donâ€™t support this view.Â But, thereâ€™s no denying that there is a gap between perception and reality for technical education.Â Itâ€™s an optics problem that I believe must be remedied by leaders . . . national leadership from business, government and education. During the space race, President Kennedy recognized that Americans felt threatened by the Russians with the launch of Sputnik. He appeared on national TV and said: â€œWe are going to put a man on the moon in this decade.â€ He made it a national priority and young people all over this country viewed entering technical careers as a national calling. Just like in the space race, we need to make skilled workforce training a national priority. And, we need to make skilled careers a national calling. Technical education must possess that kind of priority focus. Thatâ€™s one reason why Iâ€™m so enthusiastic about student organizations like SkillsUSA. They enable young people with the capabilities they need to win the global competition, and they create an excitement so that these young men and women readily embrace technical learning and avidly pursue those careers with pride. When some say the American worker is the problem, I say no . . . the American worker is the answer. But, the strength of any workforce is based on technical capabilities. As a nation, we must transform the view of a technical degree from being a consolation to an aspiration. We need to enable workers with both training and respect. Because of that, CTE and SkillsUSA have never been more important to assure a prosperous American future. Now is the time to act.Â Form partnerships involving all stakeholders â€“ education, industry and government.Â Understand the skills requirements on a local level.Â And celebrate technical education and career achievements at every opportunity.